To be honest, I didn´t have any high hopes for this bottle. It came in a mixed case where some other bottles were the ones I wanted. But being curious of everything from the hallowed lands of Langhe, I of course had to try it out. And it performed better than expected. The nose is although the weakest part, with a soft, dry character and notes of earth, gravel, cranberries and some dry tobacco. Not very upliftning, but not by any means faulty, just a tad one dimensional. The taste on the other hand is really good, with fine notes of dried raspberries, herbs, forest floor and some dry tobacco. Medium long and not at all dry at the end. Even a nice warmth at the end. Very good. 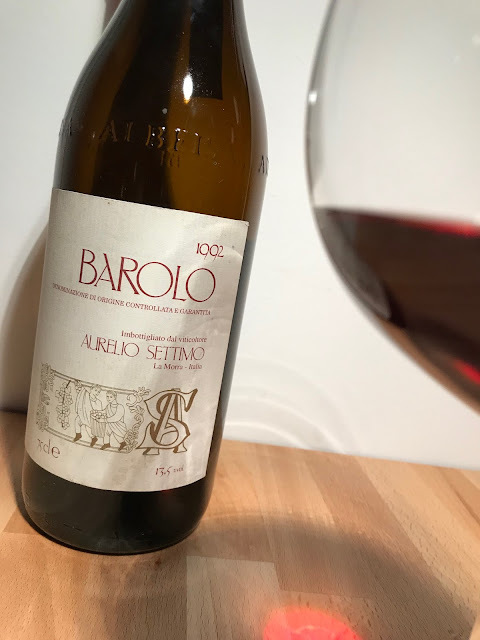 Rocche Riserva is the one to get from Settimo...stunning Barolo! Can´t remember I have tasted the Rocche Riserva, but will do, thanks for the heads up!